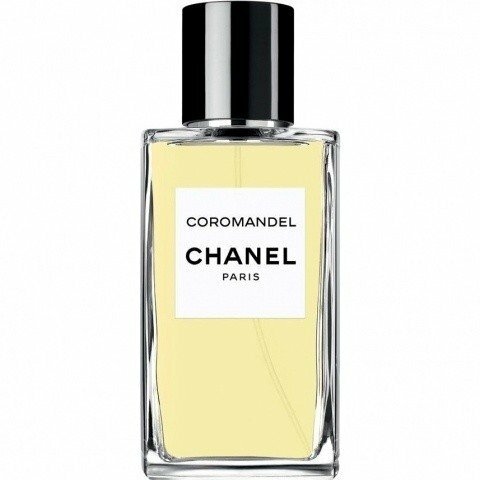 Coromandel (Eau de Parfum) is a popular perfume by Chanel for women and was released in 2016. The scent is earthy-woody. The longevity is above-average. It is still in production. This is a variant of the perfume Coromandel (Eau de Toilette) by Chanel, which differs in concentration. you know it's plain to see. you were made for me..."
Your gentle laugh - lively overture. Citric, invigorating. Will you take me with you? The way I am, you go with me. just for them rainy days..."
Your shining patchouli - no sliding down into the dark. Soft green glow. Transcendental. Your iris root - mild earthiness and yet so flowery tender. Mystical. You lead me inside. You ground me, you balance when I'm too much for myself. That's how you stay with me - my protector. Many hours. Warming sweetness of benzoin and vanilla comfort. Exhausted children's noses, nestling tenderly to mother's sweater. "Every time we meet it's like the first we kiss. Never growing tired of this endlessness." I had a huge trepidation trying Coromandel. I heard it was close to Fancy Nights, something I down wright loathed and put Coromandels exploration on the back burner. Come to find out, they arent related at all to me. I feel everything has been pretty much accurately covered regarding the nuts and bolts making up Coromandel, so Im going to take a birdwalk to expand this a bit in a few different directions. I first sprayed Coromandel, It felt slightly familiar. Matriarch's CoCo Blanc came to mind in its milky chai vanilla wood feel. 1932 edt also resonated with me with its sweet woody vanillic base once again is used in Coromandel, as is the orris note. Angel sprung to mind with its chocolaty patchouli. Coromandel is indeed beautiful and well done, and it strikes me with its oilbanum, patchouli, orris, and musky woods as a very creamy base driven scent. I might get a full bottle not only for the fact this absolutely blew my doors off as a great scent, but I suspect there is much more to it than this..I think it could also be a tremendous layering component to those that do like to layer and blend their fragrances. I cant wait to layer this under my orientals I already have in my collection. One of the most gorgeous patchouli fragrances. That white chocolate accord it's something else!